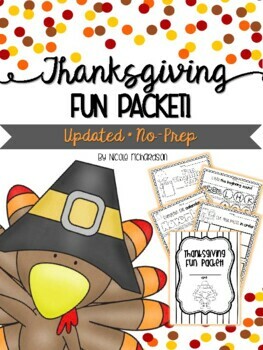 Thanksgiving Mini Fun Packet! NO-PREP! NEWLY UPDATED~REVISED AND NEW PAGES ADDED!! 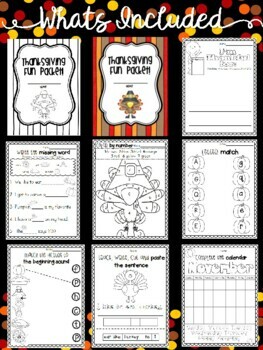 This is a great thanksgiving packet for kindergarten! This is made to be stapled and used as independent work. 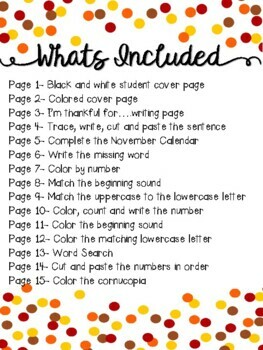 This is great for the week before Thanksgiving break or for when students finish all other work. The following will briefly outline the pages. 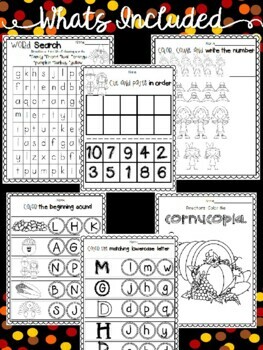 My kindergarten students loved this packet! Please contact me with any questions, comments or concerns you may have before purchasing the item. Thank you for checking out my store.